MMG earns another Google Badge! We have a lot of likes and followers. 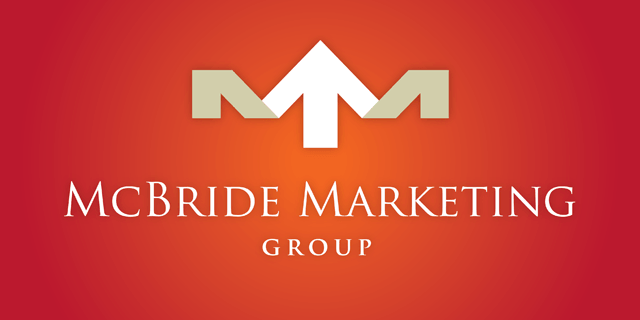 The work and creativity that McBride Marketing Group has displayed for us is outstanding. Mike is known throughout our community as a leader with marketing and advertising in our community. He is professional and very creative. Chip and Mike of McBride Marketing Group have done an outstanding job of making the advertising for the Space Coast Birding and Wildlife Festival dynamic and that gets the attention of nature-based, outdoor people. With their combined working backgrounds, experienced suggestions for the creation of a marketing piece helped to make the product “pop”. Additionally, I like them personally!! Executive Director, Brevard Nature Alliance, Inc. I greatly appreciate that Mike brings his work with us. Whether in conversation at a planning meeting, or in the design of promotional materials, Mike infuses his work with joy and creativity. His long-term commitment has helped BNDC build upon successes and grow our capacity as an organization. As Chair of the University of Floria’s Department of Advertising, one of the top five programs in the U.S., I’ve worked closely with Mike over the years during which he has served as a member of our professional advisory council. He draws a big crowd and is one of our most popular advisory council members. It is always amazing for me to watch him use his creative talent, insight and unique ability to help students make drastic improvements in their work. He is truly amazing. Mike McBride has dedicated his career to providing highly effective professional advertising services to his clients. I have had the pleasure of working with Mike on numerous projects and have found his dedication to quality to be on the par with the highest standards in the advertising profession. Mike McBride has been a tremendous teacher and guide for PREVENT! for many years. I know he helps other local organizations because when they gather and his name is mentioned, there are accolades for him all around. Through my participation on the Tourism Development Council, I have witnessed McBride formulate and explain an entire destination marketing campaign with flawless professionalism to a tough and knowledgeable group. Working directly with him on marketing and advertising campaigns for the Cocoa Beach Hotel Association, I am continually amazed at his creativity and his ability to quickly ascertain what works and what doesn’t. Our business (just me at the time) was one of McBride Marketing’s first clients. Working with Mike and his team, we learned that when it comes to your advertising agency, you don’t want a vendor, you want a partner. Thirteen years later, we have over 100 people serving four counties from multiple locations, and McBride is still our agency partner. I have known and worked with Mike for over 15 years with various organizations in our community including Health First, Florida Tech and Junior Achievement. In all of our interactions Mike demonstrates his talent, professionalism and commitment to the community. For many years, Mike has worked passionately to shape a career that has profoundly impacted the “look of Brevard.” Mike’s creativity and talents seemingly have no limits or boundaries. Whether it is campaigns for the arts, educational institutions, or businesses, Mike, time and time again, provides his clients with designs that capture the essences of and effectively brands the organizations for which he is working.